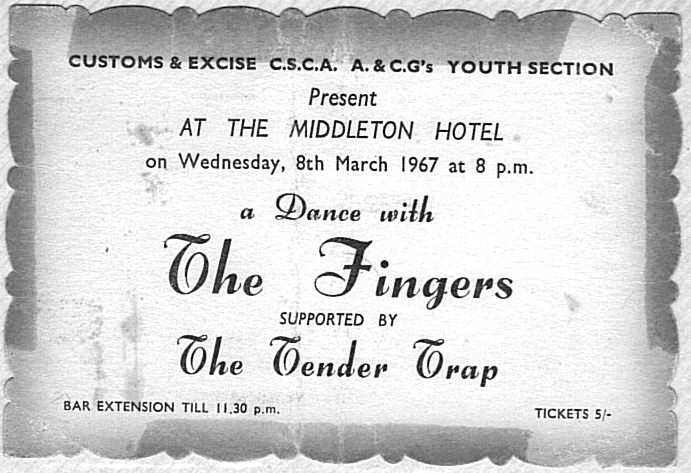 I joined The Fingers in 1965. 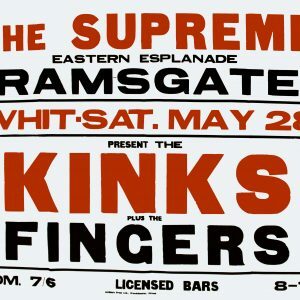 They were a solid, tight band that played a mixed repertoire of songs at that time, including numbers by The Kinks, The Moody Blues and The Beach Boys. 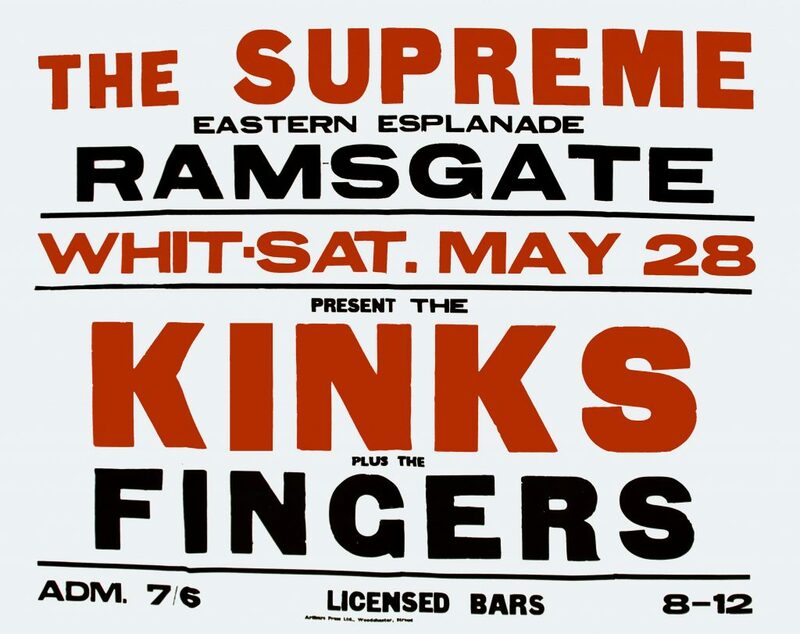 The line up of The Fingers after I arrived was: Ricky Mills (lead guitar/vocals) Jim Spicer (drums), Dave Grout (rhythm guitar/vocals) and me on bass/vocals. 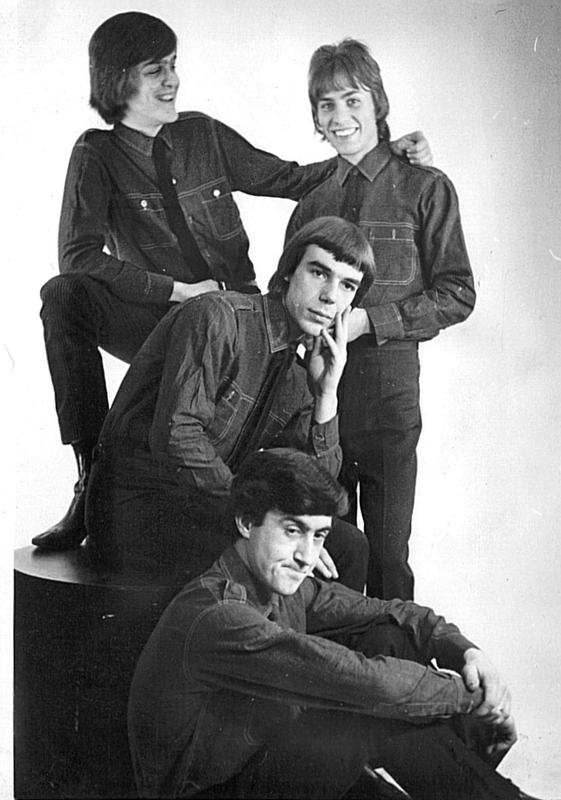 We added a very versatile keyboard player, Alan Beecham and when Jim decided to leave we turned to Bob Clouter to replace him. Our next change of line up was the addition of Mo Witham on lead guitar, which freed up Ricky Mills to develop his outstanding brand of showmanship. He really could make any audience eat out of the palm of his hand. By recruiting Mo we now had four singers. 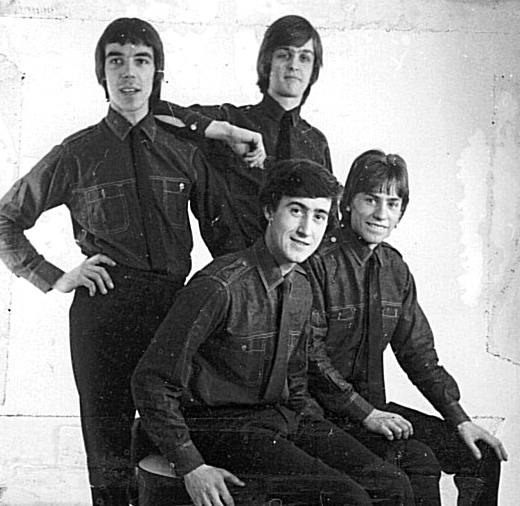 Ricky was always our main lead singer but with four of us able to sing we began to experiment with four-part harmonies (sixths and ninths etc), falsetto tracked with the same notes an octave down and passing harmonies. Alan was also helping the new line up to expand our repertoire by contributing jazzy versions of tunes like A Taste of Honey and we included various soul and Tamla Motown songs too. A singular influence on The Fingers came about via our introduction to Peter Eden. 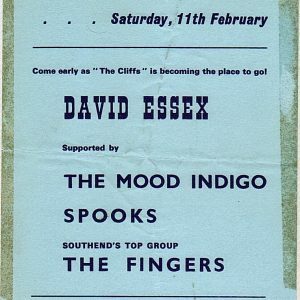 Peter had been a co-manager of Donovan with the well-known songwriter Geoff Stephens, after hearing Donovan support the R&B band Cops and Robbers at a live gig in Southend in 1964. Over the years Peter has played a part in records by artists as diverse as John Surman, G T Moore, The Crocheted Doughnut Ring, Barry Fantoni and Bill Fay. 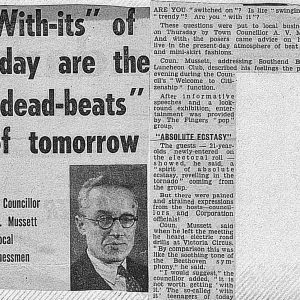 Peter had a totally different idea of what we should play, what we should wear and how we should publicise the band to the one that we had. The first thing he did was to radically change our song list by persuading us that the emerging west coast Greenwich Village acts were more credible than the soul and pop repertoire that we had built up. 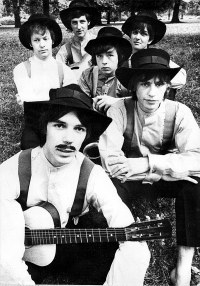 The new influences were many and varied but the favourites were The Young Rascals, The Loving Spoonful and other acts such as Tim Hardin, plus some minor artists like The Trade Winds. We experimented with different instruments like autoharps and mellotrons; both of which we used in later recording sessions. 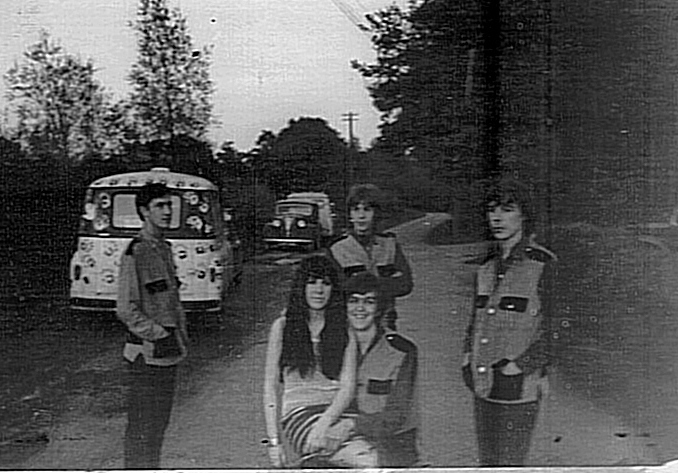 We had also been through the usual Beatles look and now wanted to be different. We were promptly geared up with grandad vests (well in advance of the coming trend); large hillbilly hats and wide braces. This quasi-country yokel look lasted for some time and in truth we did get noticed for it. David Wells of Tenth Planet Records (who has a huge knowledge of the era, the music and the records that were released in the sixties) compiled the anthology, Nice. Tenth Planet is one of the leading reissue labels around and specialises in vinyl, although it now has a CD offshoot called Wooden Hill. 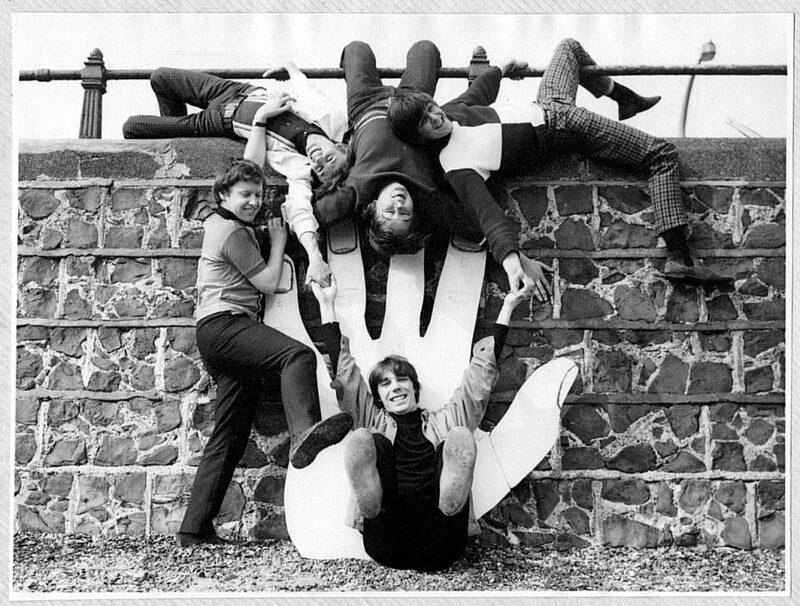 The Fingers were no nearer to getting that vital record deal but another local band, Force Five were already old hands and they had recorded a Ray Davies number called I Go to Sleep (later – much later – a hit for The Pretenders.) The backing track was great but the record company was not happy with the vocals so Peter suggested that we should take the recording and add our vocals. We were unhappy about this as we wanted to play on our own record but we were offered a small sop in that a number written by Ricky and me; Oh would be the B-side. 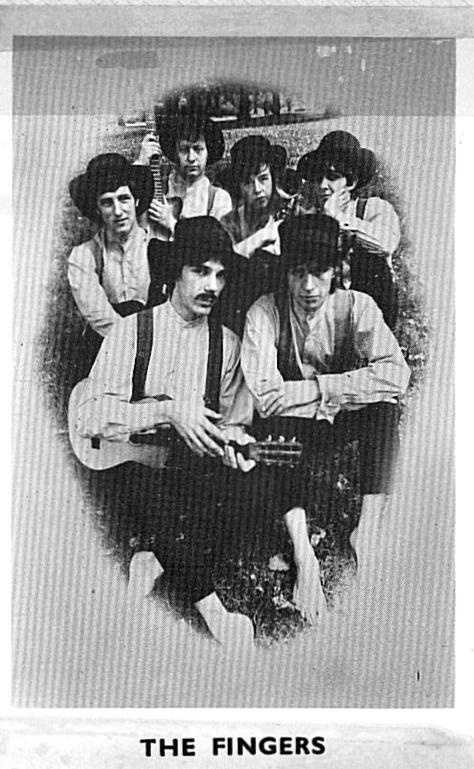 Oh had already been recorded during the session that produced Can't Live it Down and featured an autoharp on a simple early Beatles type number. We trouped off to add our vocals and the end result was a pleasant but unremarkable version of Ray's number. I Go to Sleep was released on 'Polydor' in 1966. "The best version I've heard of I Go To Sleep pops up by The Fingers." 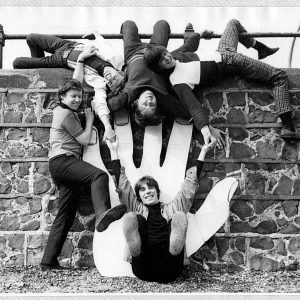 We became chart climbers for other stations too and then our records became hits in some of the other pirate radio charts. Now this doesn't mean that they were hits in official charts but it did get us some interest from fans and the press. 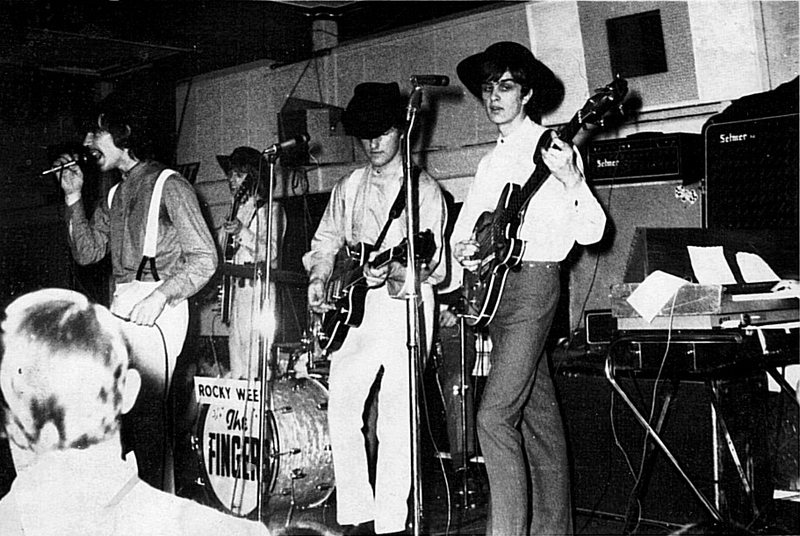 The Fingers wanted to record a song that we were already playing in our stage act and in 1966 Pete agreed that we could try out I'll Take You Where The Music's Playing. This song was popular when we played live but again we were told that we could sing on the record but that this time very well known session musicians would provide the backing. 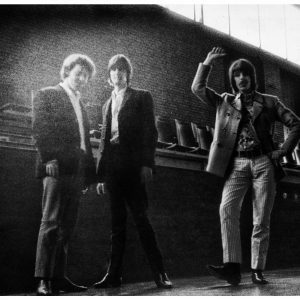 The lead guitarist was Alan Parker (later with Blue Mink) and Joe Morretti supplied the rhythm guitar. The pianist was a wild chap named Nicky Hopkins who recorded with many acts from the late sixties over a crucial period of two decades. But that isn't all – our drummer for this session was Clem Cattini, the well-known musician from The Tornados. 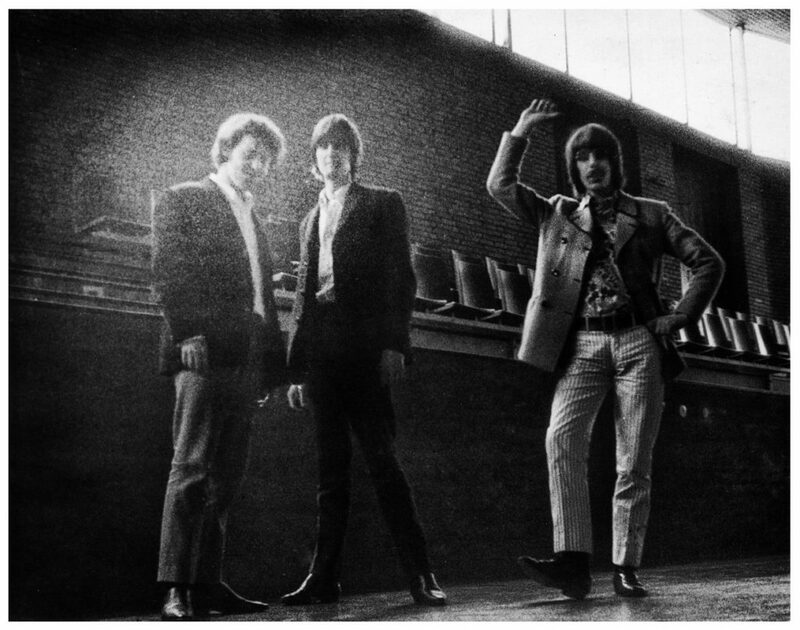 Clem's session history is long and very well documented elsewhere but just some of the artists that have been lucky enough to use his drumming skills are Mike Batt, Mike Berry. 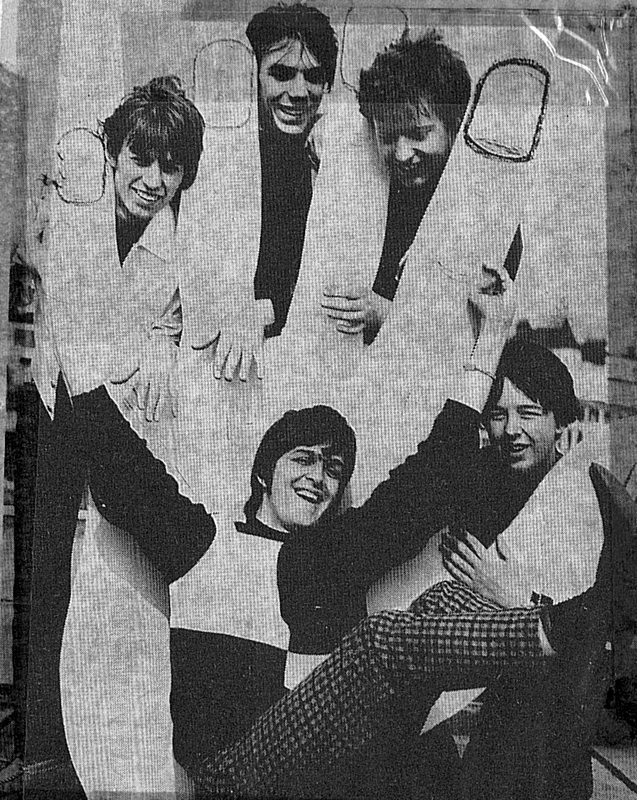 Phil Everly, Johnny Kidd & the Pirates, Hank Marvin, P.J.Proby and Lou Reed. We were disappointed not to appear on 'our' record but we had to admit that the replacements were pretty good by any standards. The B-side was a Geoff Stephens song called My Way Of Thinking. 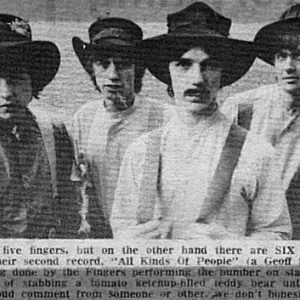 "The Fingers version of the Greenwich-Barry number I'll Take You Where The Music's Playing is noteworthy for its fund of colourful sounds and ideas." The Fingers recorded at Abbey Road (except for I Go To Sleep and the Can't Live It Down session both of which were recorded in 1966), and it was inspiring to be where so many big acts had recorded. 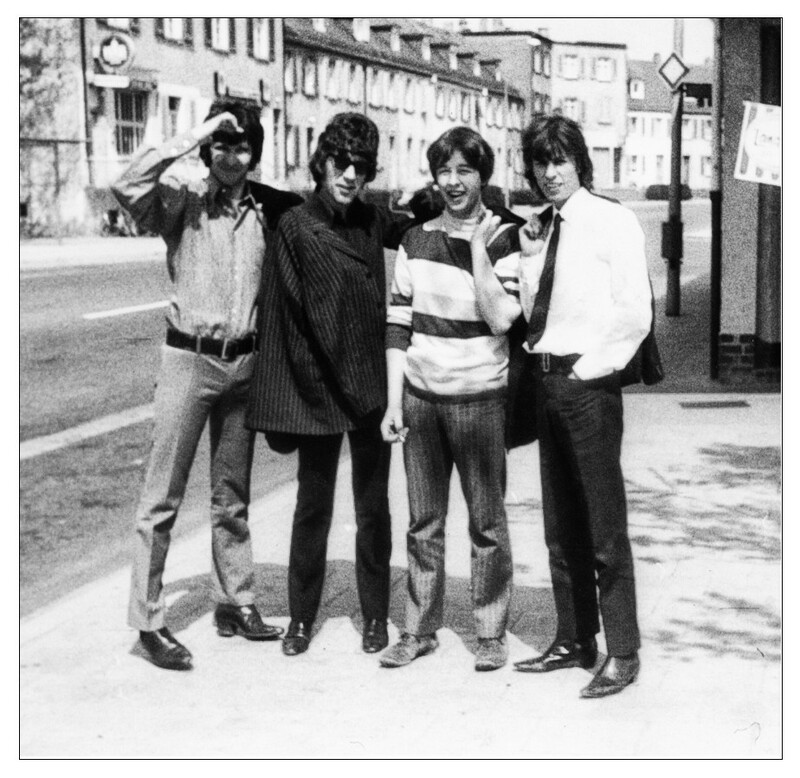 I'll Take You Where The Music's Playing flopped but Columbia (our then record company) still wanted to keep trying and we went back to Abbey Road to record the Geoff Stephens song All Kinds Of People, issued in 1967. This time we added harpsichord and although we were not fond of the song it still sounds quite fresh even today. 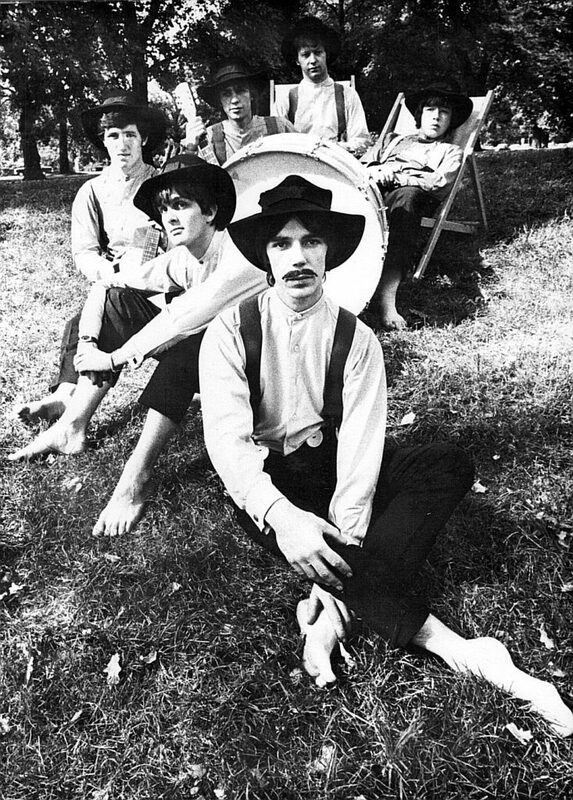 The B-side was a song called Circus With A Female Clown, which was co-written by Ricky and me, with help from Peter. 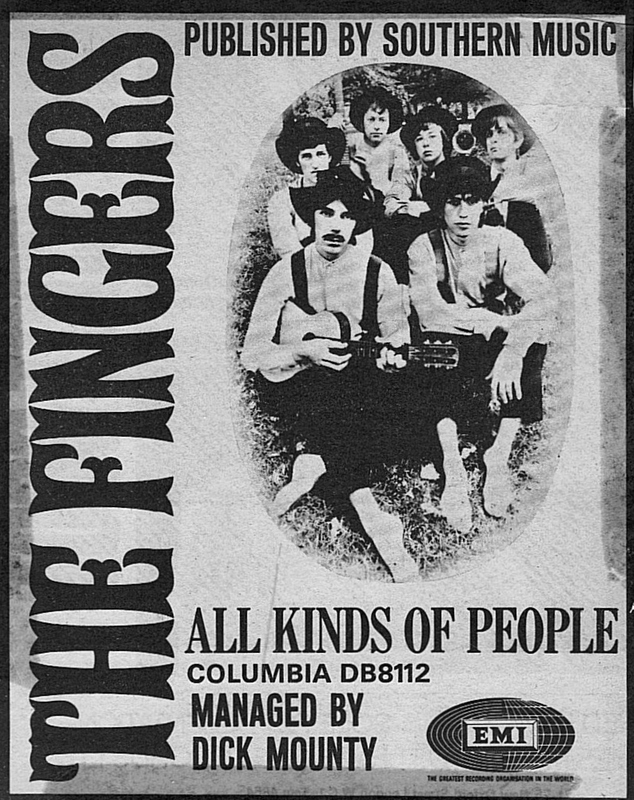 In January 1967 the Record Retailer & Music Industry News said this about All Kinds Of People. 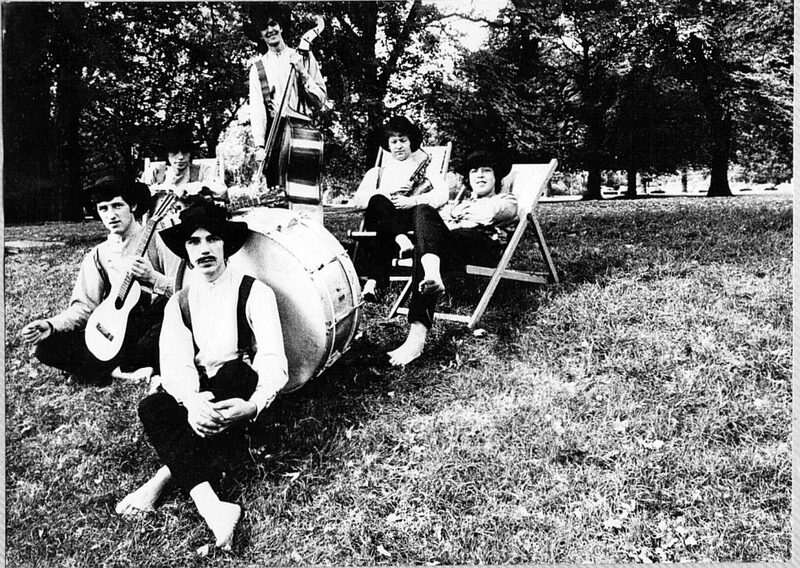 "One of the more way-out British groups but here in a surprisingly restrained mood. Neat vocal harmonies on a strong-sounding song, quite a few gimmicks. But a minor hit at best." 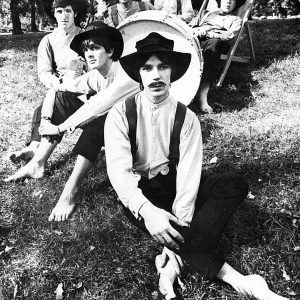 Circus With A Female Clown has appeared on various Psychedelic compilations such as Psychedelia At Abbey Road and Circus Days Volumes 1 and 2. 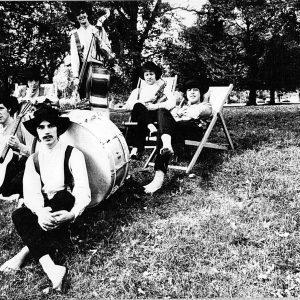 Peter had by now talked us into styling ourselves as one of the very first psychedelic acts in Britain. We experimented with strange lighting effects that were often built by Ricky from old speaker cabinets and record players, which supplied the moving parts for early strobe effects. We made up stories for the press such as the fact that we allegedly stabbed a poor teddy bear to death on stage every night and that this wretched stuffed creature was full of lovely spurting tomato ketchup. We also had an entirely imaginary pet monkey that we said produced psychotic smells. 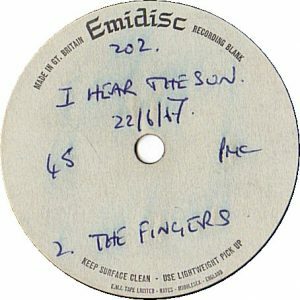 These daft tales have resurfaced on the sleeve notes to some of the compilations that have featured The Fingers in the last few years. 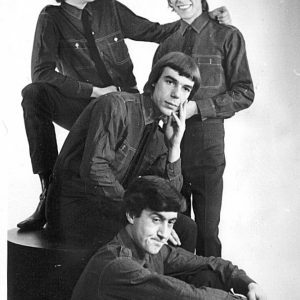 Our next recorded effort (again in 1967), was another Geoff Stephens song called Shirl. We had used up our allotted recording time for the year so Peter booked us in as Daddy Lindberg; and The Fingers provided the backing for Ricky's new persona. "A great stomper which is starting to be recognised for the gem it is." "Been on the DJ decks for a few years this one, but it's time to nail the beast onto 33 rpm. 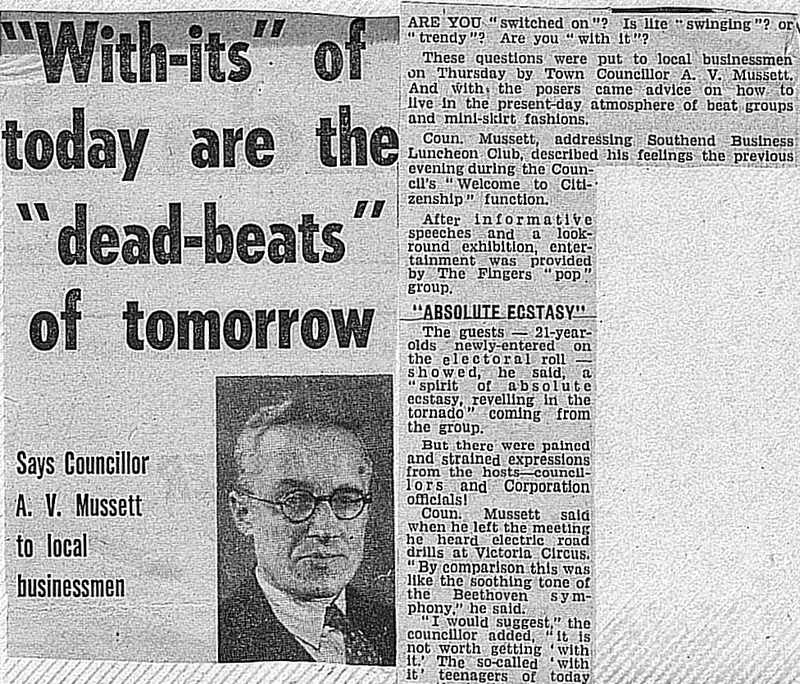 A smashing Peter Eden produced ditty that dips into Lysergic soup like a loaf of bread. Shirl it's commercial flip stinks! & should be scratched from existence." 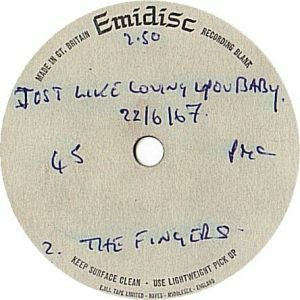 In February 1967 The Fingers appeared live on a BBC Light Programme radio show called Monday Monday. Barry Aldiss was the introducer and we were of course familiar with him because he was a well-known radio DJ of the time having first come to prominence via Radio Luxembourg. 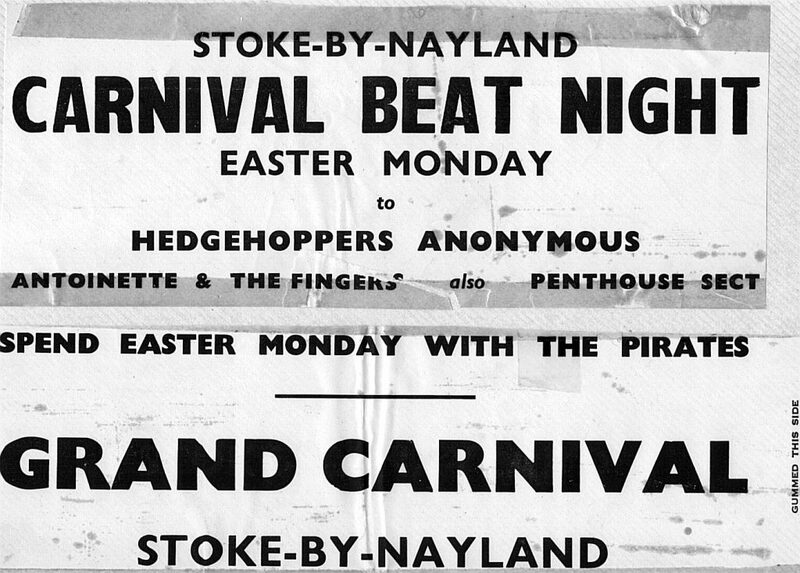 At one gig we played with Hedgehoppers Anonymous and they said that they would get Jonathan King to phone me. True to their word I had a call at home from Jonathan who said he would be interested in managing and recording the band. 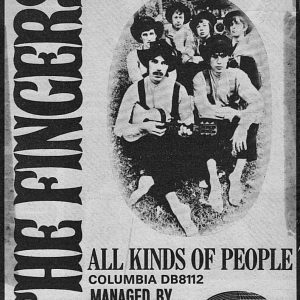 The Fingers were very ethical chaps and when Jonathan phoned me I told him that we could not have him as our manager as we already had one locally. Who knows what would have happened if we had decided to ditch our friend and work with JK? 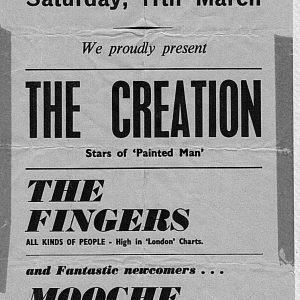 "The Fingers are about as Psychedelic as Ken Dodd." 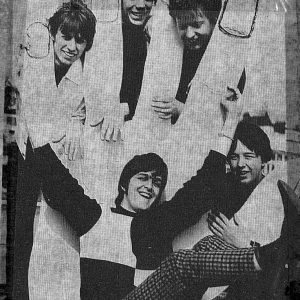 Geoff Stephens was talked about as the songwriter of 1967 (Record Mirror – 07 01 1967) and we did some sessions for Peter recording Stephens' numbers. One was for Barry Fantoni. My duties on a track called Bench Number Three At Waterloo Station were simply to play a roll on timpani every bar. Other sessions that we did included some for the wonderfully named Vernon Haddock's Jubilee Lovelies. I sang the lead line on the choruses for an (unreleased?) 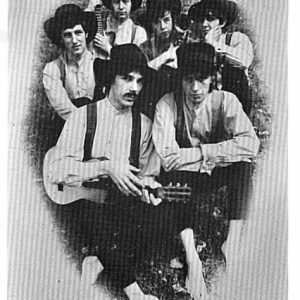 recording of You Are My Honeysuckle. Bob Clouter and I also played with them on I'll Be Your Baby Tonight, a Bob Dylan song, which also appeared on Nice. 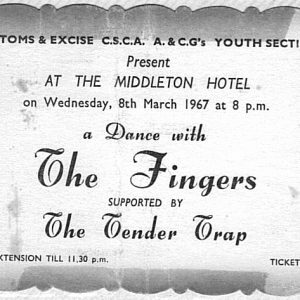 The Fingers used to enjoy playing the odd comedy numbers. At one time we did a small set by 'The hardest working man in show business, Nigel Grog.' Nigel was Ricky in a dirty old mac with a flat cap and the most hideous expression that Ricky could muster. Dave and I played ukeles and we gave immaculate renditions of George Formby songs like When I'm Cleaning Windows. Now comes what is probably our biggest missed opportunity. 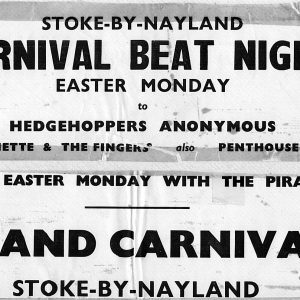 After playing at a Carnival Dance in Stoke by Nayland we were told that the agent for The Animals was going to pass our details to Mickie Most. 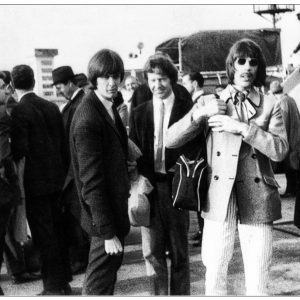 Mickie already had a successful stable of acts including Herman's Hermits, Lulu and The Animals so we thought it most unlikely that he would be interested in us. You can imagine that we did not really believe that a man as successful as Mickie Most would be interested in The Fingers. 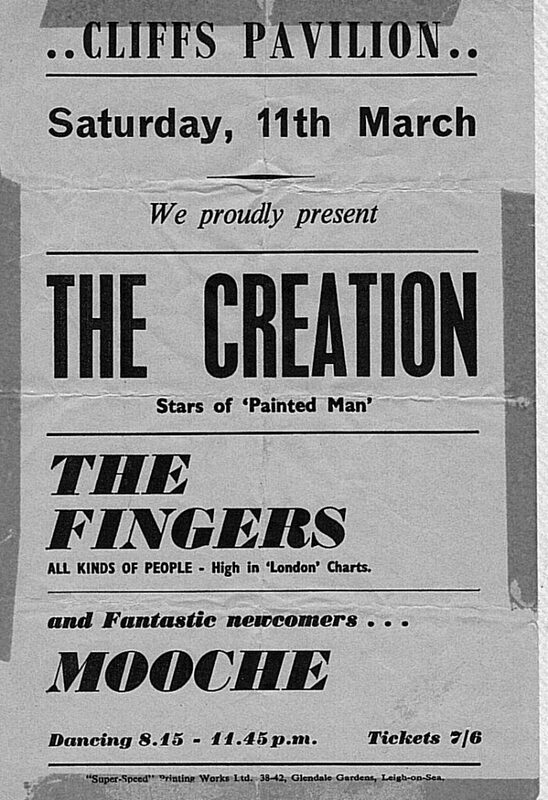 However, one night we were playing at a dumpy dancehall at the back of a pub in the Edgware Road, when who should stroll in but Mickie Most. He leaned nonchalantly on a pillar stage left and left after a few numbers without making contact with any of the band. We thought he was not interested until I had a phone call from him at home. 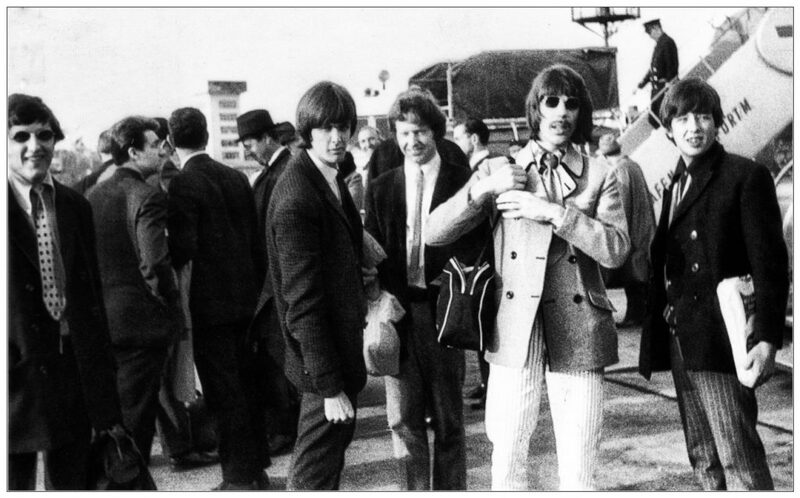 He liked the band and wanted to send us to Germany for a while to tighten us up. The way he worked, he said, was that he wanted to be our manager, agent, record producer and publisher. He said that in return he would make us stars. But I again took the ethical (= naive) position that we already had a local manager that we couldn't just dump. Another golden opportunity vanished into haze! Beat, Beat, Beat was an American Forces Network TV show that was broadcast from Frankfurt. 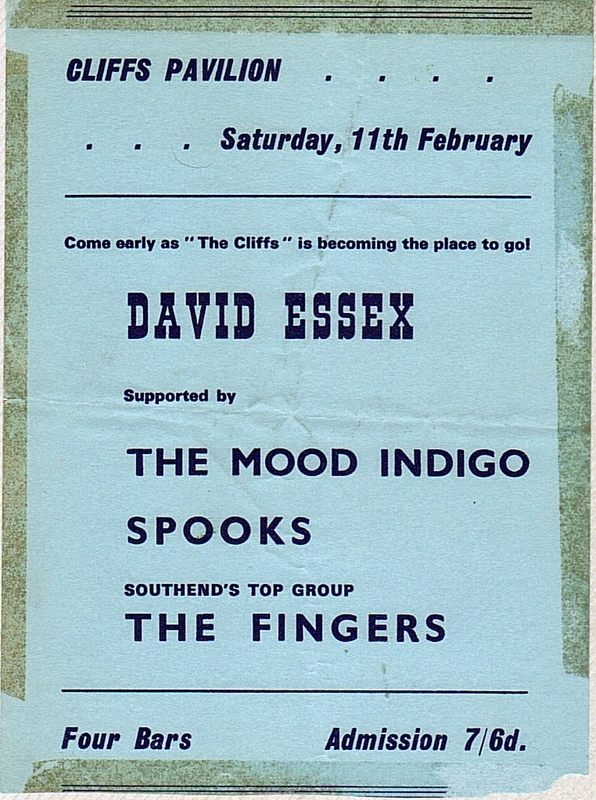 We were booked to play on an eclectic bill that included Don Storer and Cherry Wainer, Sue and Sunny, The Tremeloes and The Equals. 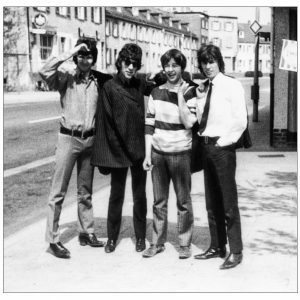 These tracks also appeared on a French CD Nowhere Men Vol 4 – British Beat 1964 -1968, which was released in 2001. We didn't even know that they were being recorded! 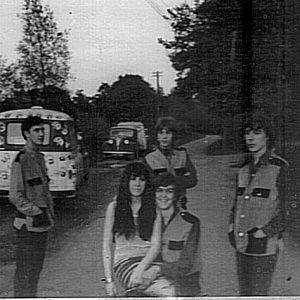 Shortly after this German jaunt Bob and I left The Fingers and whilst they recruited very good replacements the band folded soon after they came back from another and longer visit to Germany. 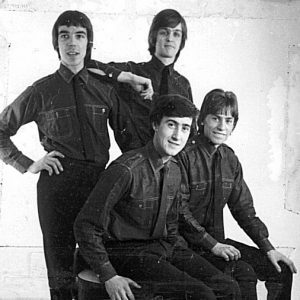 The Fingers (Line up F1): Ricky Mills (Lead guitar/lead vocals), John Bobin (Bass guitar/backing vocals), Dave Grout (Rhythm guitar/backing vocals), Jim Spicer (Drums). 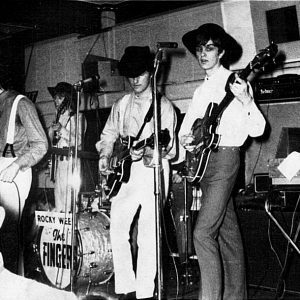 The Fingers (Line up F2): Ricky Mills (Lead guitar/lead vocals), John Bobin (Bass guitar/backing vocals), Dave Grout (Rhythm guitar/backing vocals), Bob Clouter (Drums), Alan Beecham (Keyboards). Photographic archive copyright John Bobin. 2011. All recorded material copyright The Fingers/John Bobin/Ricky Mills. 2011. Very special thanks to: John Bobin, Ricky Mills, Peter Eden, David Wells.